Year Built: 2006 "Updated 2006"
LAKE ALICE HOME in exceptional condition with 184' of sandy frontage. The home features 2 bedrooms, 2 bathrooms, and a full basement with a bath. The basement is ready for a third bedroom and a rec room area. Beautiful southern exposure overlooking the sandy frontage. There is a 2 car garage and an extra storage building. Trex decking facing lake side and easy stairs down to the water. 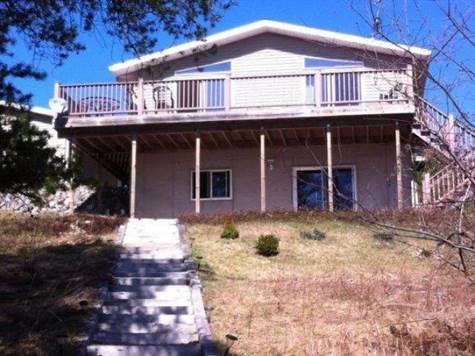 Maintenance free siding and .81 acres of land. Home was built in 2006 and has barely been used.